A man on his death bed feels the sensation of floating over his own body. A woman dies in a freak accident and, before she is revived by physicians, visits Heaven. A teenager barely escapes being killed in a car crash, and the experience changes his perception of life and death. What do we make of these near-death and after-death accounts? 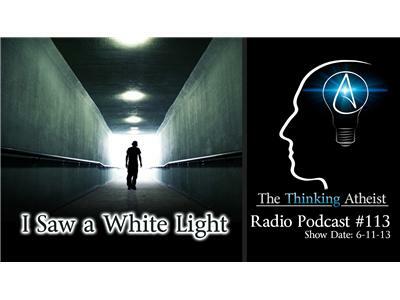 What, exactly, is the "white light" that apparently welcomes us as our heart stops beating? Is there any evidence to support the claims that those who have walked the membrane between life and death have seen into a spiritual plane? We explore the issue. Plus your calls and emails.